The United States of America has made its fair share of mistakes, and although ‘to err is human, to forgive divine’, can the world’s most intimidating superpower really be considered human? The country single-handedly brought the world to its knees in 2008 by causing the infamously volatile financial market to collapse entirely. That phenomena is better known to us as the financial crisis… the worst of its kind since the Great Depression (which also unsurprisingly originated in America). To understand how the USA so thoughtlessly ruined other economies, we must first understand globalization. World renowned economist, Joseph Stiglitz explains it perfectly when he highlights how integration, AKA some extent of dependency, can have its consequences too. Anyone who isn’t a businessman, accountant, economist, or financial expert of any sort, would have trouble comprehending the complex process – riddled with loopholes, considered failure on the mighty government’s part – that led to the crisis itself. Banks colluded, mortgage brokers and credit rating agencies committed mass fraud and the entire economy was balancing itself on credit (The Economist, 2013), convincing citizens, either practically robbed of their savings, or those with none whatsoever being duped into borrowing, they’d see a light at the end of the tunnel. The real injustice, however, lies mainly in the aftermath of the burst bubble. If capitalism is expected to stay true to its purest and cruel form, the weak would eventually perish, and the market would regulate itself. Government intervention went from being a big no-no (taxes on large corporations which “help the economy” being considered a travesty) to a readily welcomed gift when it arrived in the form of a monumental bailout. America proudly introduced the Emergency Economic Stabilization Act of 2008, courtesy of President (now former) George W Bush and Henry Paulson (Bancroft.berkeley.edu, 2016). It was justified because apparently letting the banks go to ruin would let the people go to ruin. Well, funny how it turned out that way for us regardless. The number we all know is a lovely round figure of 700 billion US dollars, but according to the Special Inspector General for TARP summary in 2015, seven years down the line, the bailout has proven to be the gift that keeps on giving, in the form of 16.8 TRILLION US dollars, with 4.6 trillion already dished out. Once reliable rating agencies like Standard and Poor’s, labeled toxic mortgages as safe, with their triple AAA ratings, and restitution fees they are liable to pay are only 5 billion US dollars, what they most likely made in days before it backfired on them. HSBC American Division was proven to be involved with money laundering from Mexican drug cartels worth a whopping 881 billion US dollars, and the fine? Not even a slap on the wrist, it would make a feather’s touch feel like an attack. Indictment was out of the question. “Nobody goes to jail at a time when an unemployed black person gets 10 years for robbing a minute mart” sums up the great inequality, disparity and favoritism in the world for the invincible corporations (Forbes.com, 2016). Uncle Sam is raising cheaters with the comfort that they will always have a cushioned fall, whereas you and I, the average citizens of the world, will not taste one measly drop of the trickledown effect they so confidently boast of. Once again, Joseph Stiglitz manages to phrase it as such, that a terrible situation almost sounds comforting (well, it would if I was Fannie Mae or Freddie Mac). “The fact is that the United States and Western Europe have signaled to big companies that if they have problems, they will be bailed out. Or at least, they may be bailed out” (Stiglitz, 2009). That said, the question on all our lips should be, where is our ‘at least’? Bancroft.berkeley.edu. (2016). 2008 Emergency Economic Stabilization Act – Timeline – Slaying the Dragon of Debt – Regional Oral History Office – University of California, Berkeley. [online] Available at: http://bancroft.berkeley.edu/ROHO/projects/debt/economicstabilizationact.html [Accessed 20 Oct. 2016]. CounterThink. (2016). How the Financial Bailout Really Works – CounterThink.com. [online] Available at: http://www.counterthink.com/How_the_Financial_Bailout_Really_Works.asp [Accessed 18 Oct. 2016]. Forbes.com. (2016). Forbes Welcome. [online] Available at: http://www.forbes.com/sites/mikecollins/2015/07/14/the-big-bank-bailout/#7551ae563723[Accessed 21 Oct. 2016]. Grosz, C. (n.d.). Bank Bailout cartoon. 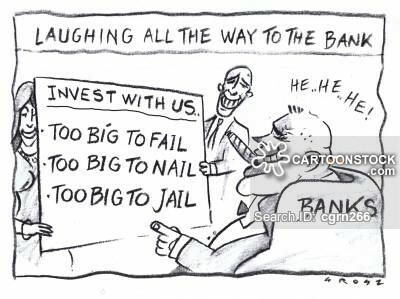 [image] Available at: https://www.cartoonstock.com/directory/b/bank_bailout.asp [Accessed 19 Oct. 2016]. Sgclub.com. (2009). 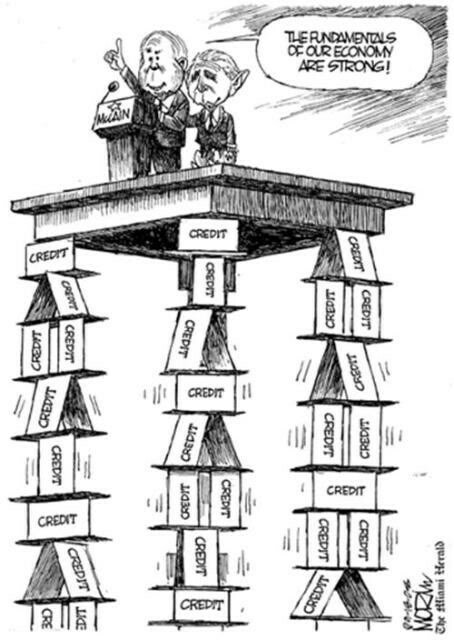 Financial Crisis Comics | SGClub Portal. [online] Available at: http://www.sgclub.com/humour/financial-crisis-comics/ [Accessed 20 Oct. 2016]. STIGLITZ, J. (2009). The global crisis, social protection and jobs. International Labour Review, 148(1-2), pp.1-13. The Economist. (2013). Crash course. [online] Available at: http://www.economist.com/news/schoolsbrief/21584534-effects-financial-crisis-are-still-being-felt-five-years-article [Accessed 17 Oct. 2016]. The Huffington Post. (2015). [online] Available at: http://www.huffingtonpost.com/phil-davis/trickle-down-mythology-ex_b_8166728.html [Accessed 20 Oct. 2016].